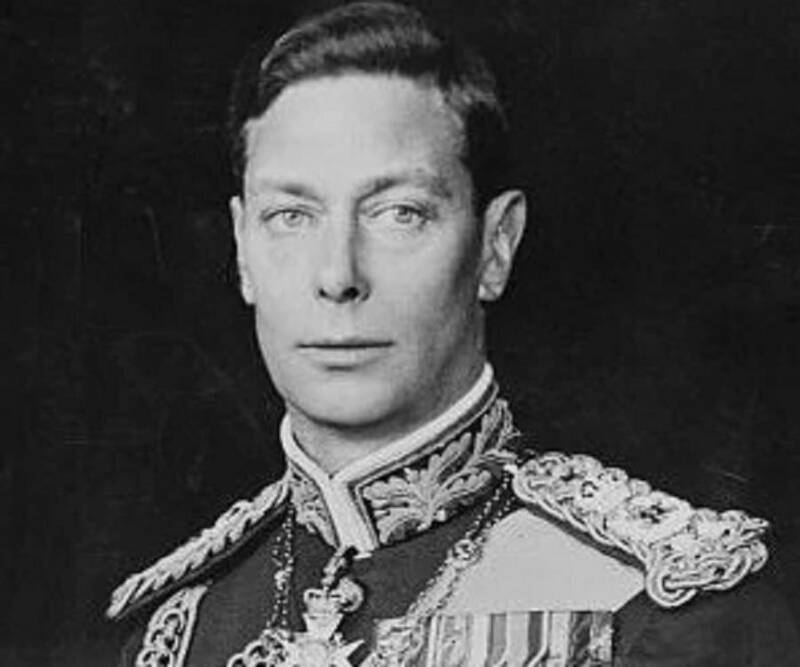 George VI was King of the United Kingdom. Check out this biography to know about his childhood, family life, achievements and fun facts about him. 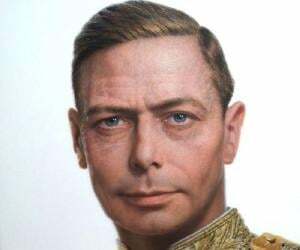 George VI was King of the United Kingdom and the Dominions of the British Commonwealth for over fifteen years since assuming throne in December 1936 till his death in February 1952. He was the last Emperor of India and became the first Head of the Commonwealth. As the second child of King George V, he was an unlikely candidate for the throne, and inherited it after his elder brother, King Edward VIII, abdicated the throne to marry his mistress Wallis Simpson. According to a letter George VI wrote to his brother following the abdication crisis, he had reluctantly assumed "a rocking throne" and tried "to make it steady again". Despite enduring the Second World War during his reign, and his personal shortcomings, he was able to restore the people's faith in the monarchy with courage and determination. After his health issues cut his reign short, his elder daughter, Princess Elizabeth, assumed the throne as Elizabeth II. George VI was born on December 14, 1895 at York Cottage, on the Sandringham Estate in Norfolk, UK, to Prince George, Duke of York (later King George V) and Duchess of York (later Queen Mary). Born on the 34th death anniversary of his great-grandfather, Albert, Prince Consort, he was baptized as 'Albert Frederick Arthur George', and was commonly known as 'Bertie' among friends and family. Second child of his parents, he had an elder brother, Edward VIII; one younger sister, Mary, Princess Royal; and three younger brothers, Prince Henry, Duke of Gloucester; Prince George, Duke of Kent; and Prince John. He was fourth in the line of ascension for the throne, after his grand-father, father, and elder brother. Described as a frail child, he suffered from ill health, especially chronic stomach problems, was easily frightened and prone to tears, and had developed a stammer that troubled him even after he ascended the throne. He had knock knees, for which he was forced to wear painful corrective splints, and despite being naturally left-handed, he was also forced to write with his right hand. George VI entered Royal Naval College, Osborne, as a naval cadet in 1909, and despite finishing at the bottom of his class in the final examination in 1911, progressed to the Royal Naval College, Dartmouth. After completing his education, he served on the training ship HMS 'Cumberland' in the West Indies and on the east coast of Canada for six months in 1913. He later joined the Royal Navy as a midshipman aboard HMS 'Collingwood' on September 15, 1913, and spent three months in the Mediterranean. After the First World War started, he served as a turret officer aboard 'Collingwood' in the indecisive 'Battle of Jutland', which was the largest naval action of the war against the German navy. He had to withdraw from the war because of a duodenal ulcer which forced him to undergo operation in November 1917. Later in February 1918, he was appointed Officer in Charge of Boys at the Royal Naval Air Service's training establishment at Cranwell. Two months later, after the Royal Air Force was established and Cranwell was reassigned from Admiralty to Air Ministry responsibility, he moved from the Royal Navy to the Royal Air Force. Till August 1918, he served as Officer Commanding Number 4 Squadron of the Boys' Wing at Cranwell. In August 1918, he completed two weeks of training at the RAF's Cadet School at St Leonards-on-Sea, following which he received command of a squadron on the Cadet Wing. With this, he became the first member of the British royal family to be certified as a fully qualified pilot. In October 1918, after being posted to General Trenchard's staff in France, he flew to Autigny and served on the staff of the RAF's Independent Air Force during the last few weeks of the First World War. On July 31, 1919, he qualified as an RAF pilot and the very next day, was promoted to squadron leader. He studied history, economics and civics under historian R. V. Laurence at Trinity College, Cambridge, for a year starting in October 1919. After his father named him Duke of York, Earl of Inverness and Baron Killarney on June 4, 1920, he took up more royal duties such as representing his father at coal mines, factories, and railyards. While he appeared less impressive than his elder brother Edward due to his shyness and stammer, he was more physically active and was named President of the Industrial Welfare Society for improving working conditions. He earned the nickname 'Industrial Prince' and, between 1921 and 1939, he was instrumental in bringing out boys from different social backgrounds to the annual summer camps. George VI became infatuated with married Australian socialite Sheila, Lady Loughborough, during his early youth. 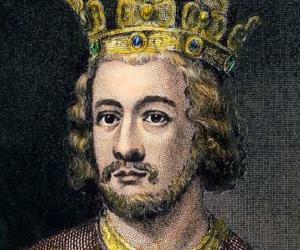 However, his father persuaded him to stop seeing her by endowing him with the Dukedom of York. In 1920, he was re-introduced to Lady Elizabeth Bowes-Lyon, the youngest daughter of the Earl and Countess of Strathmore and Kinghorne, whom he had not seen since his childhood. Immediately infatuated with her, he proposed to her twice; first in 1921 and second time 1922. 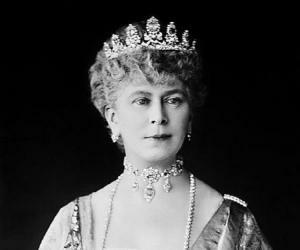 But, she rejected her proposal both the times, as she was reluctant to make the sacrifices necessary to be included in the royal family. After she finally agreed to his proposal, they were married on April 26, 1923 in Westminster Abbey. George VI and his wife Elizabeth had two daughters, Princess Elizabeth, born on April 21, 1926, and Princess Margaret, born on August 21, 1930. Princess Elizabeth later became Queen Elizabeth II and married Prince Philip of Greece and Denmark. While George VI was second in the line of ascension after his elder brother Edward at the time of his father's death on January 20, 1936, King George V wanted 'Bertie' to inherit the throne. 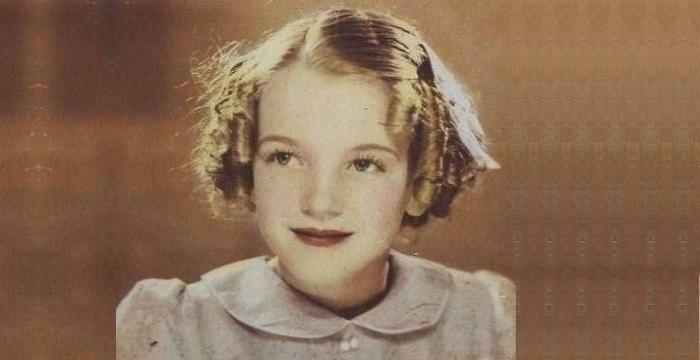 Many close to King Edward disapproved of his womanizing and reckless behavior, and after he decided to marry twice divorced American socialite Wallis Simpson, it was clear that he would have to abdicate the throne. After Edward's abdication on December 11, 1936, Albert reluctantly took the throne assuming the reign name 'George VI' with the hope of restoring confidence in the monarchy following the tumultuous events since his father's death. His coronation occurred at Westminster Abbey on the same day his elder bother's coronation was supposed to take place, May 12, 1937, with his mother, Queen Mary, in attendance to show her support. With his early reign overshadowed by the impending Second World War, he took two overseas trips to France and to North America to gain strategic advantage. During his visit to Canada and the US with the Queen in May and June 1939, he gave Royal Assent to nine parliamentary bills and ratified two international treaties with the Great Seal of Canada. During the trip to America, he stayed with the US President Franklin D. Roosevelt at the White House and at his private estate at Hyde Park, New York. On the trip, he developed a deep friendship with Roosevelt. While the tour was a major political success, helping in building the alliance for the coming war, the common people also welcomed the royal couple with great enthusiasm. After the Second World War broke out, the King and the Queen decided to stay in London, sharing the same fate as the civilians, and were also subject to rationing restrictions. Despite narrowly escaping death during German bombings on September 13, 1939, they continued to visit bomb sites, munitions factories, and troops to provide moral support. He was against the appointment of Winston Churchill as Prime Minister in 1940, but later developed close friendship with him, and regularly lunched together while discussing the War. During the Victory in Europe Day celebrations, he invited Churchill to appear with the royal family on the balcony of Buckingham Palace to greet the public. The last Emperor of India, he became the King of India and King of Pakistan, after the two countries became independent in August 1947. He eventually ceased to be the King of India when it became a republic in 1950, but remained King of Pakistan till his death. George VI suffered from several illnesses, including arteriosclerosis and Buerger's disease, and was treated with a right lumbar sympathectomy in March 1949 for an arterial blockage in his right leg. He also developed lung cancer due to heavy smoking, and had his left lung removed in September 1951 after a malignant tumour was found. 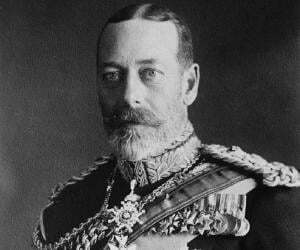 On February 6, 1952, he was found dead in bed at Sandringham House in Norfolk. He died of coronary thrombosis, in his sleep. 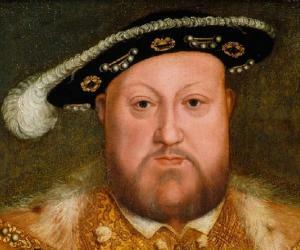 His coffin rested in St. Mary Magdalene Church, Sandringham for two days before lying in state at Westminster Hall from February 11. After witnessing his ordeal delivering the closing speech at the British Empire Exhibition at Wembley on October 31, 1925, his wife convinced George VI to see Australian-born speech therapist Lionel Logue. He was eventually able to speak more fluently after practicing breathing exercises with Logue and rehearsing with the Duchess.